You’re To-Do list is large. *shriek* You’ve waited too long. *crash* You want to give Christmas a personal touch, but there’s only two weeks until Santa’s sleigh show’s up. *gasp* It’s all good, guys. 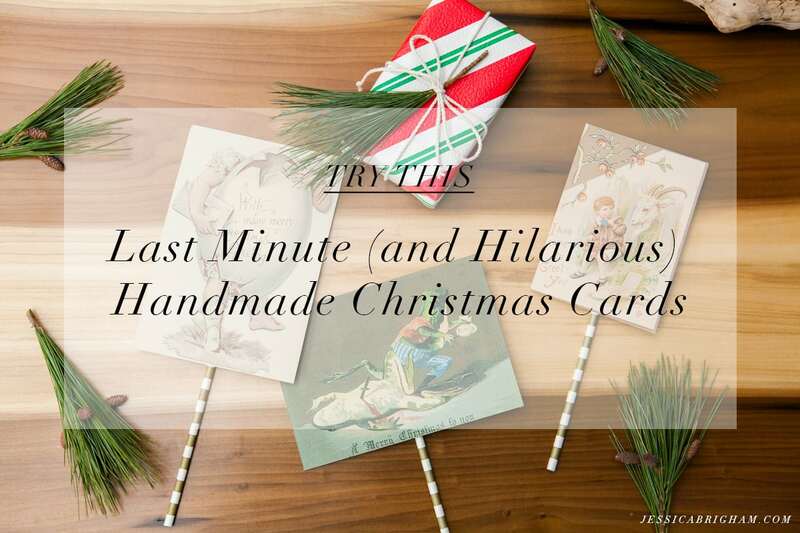 I’ve got the cutest, most peculiar, handmade christmas cards for you. These Victorian-era oddities feature frogs robbing (and slaughtering) other frogs; unsuspecting rams sneaking up on well-to-do children; and meat circles with wine bottles for legs, just to name a few. Not only do these DIY Christmas cards say, “I love you” upon presentation, the nostalgia will bring you back to a time when you believed. HO-HO-HOW ABOUT THEM APPLES. 💥 These time-of-yore designs are eerily hilarious, and it’s more likely than not possible you’ll wonder whether you’re happy or sad these once-upon-a-time Christmas card traditions no longer exist today. I’m sad. So I’m bringing them back. First things first, go get them tools. Hit up your local arts supply or crafts store to snag up the x-acto knife, metal ruler and large cutting mat. While you’re there, pick up your pretty cardstock. You can also try your local print shop. Go over to your friend, the Google machine, and type in nostalgic christmas cards. Click on the Images tab. To filter your results, click the Tools button, then change the first dropdown from Any Size to Large. Presto! 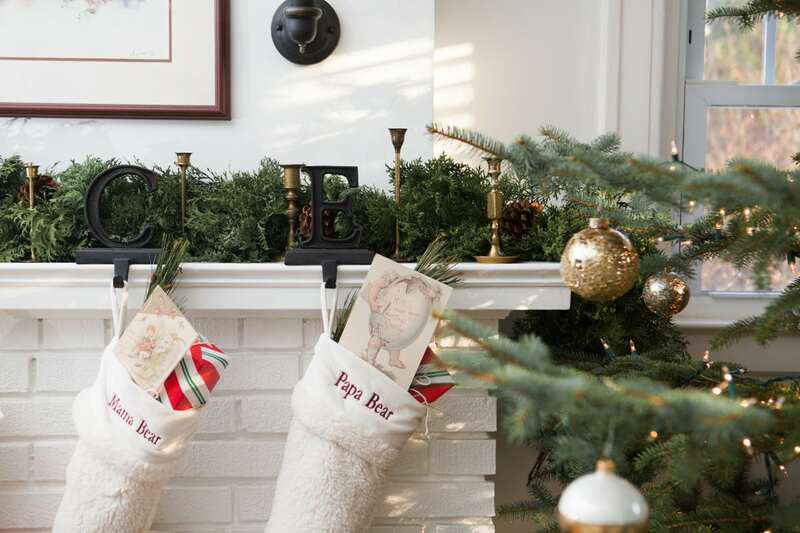 An endless encyclopedia of Christmas card ideas awaits you. We want weight! We want texture! And it’s got to work in a standard, laser jet printer. 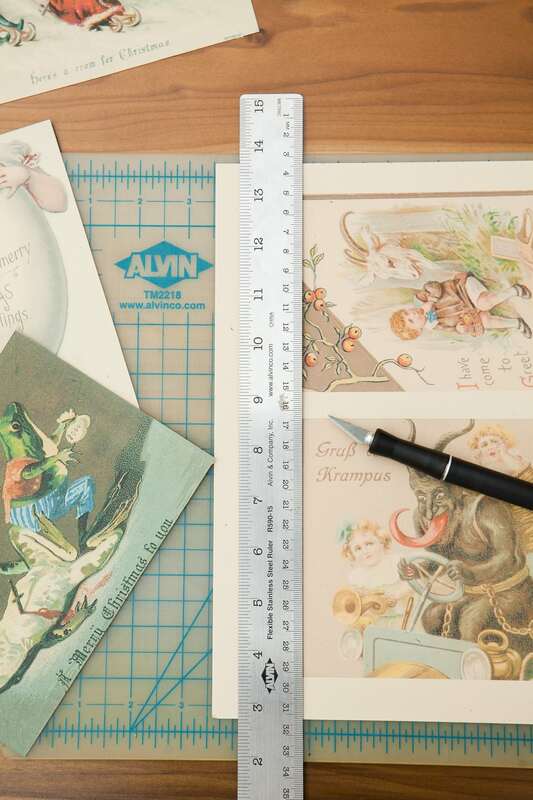 Find a 80# cover cardstock. This give your cards a professional oomph. Textured paper doubles as an artsy-fartsy touch as well as conceals potential pixelation in your found images from the Interwebs. Depending on your computer skillz, open up a fresh document in either Photoshop, Illustrator or Microsoft Office. Drag-n-drop your creepy DIY Christmas cards into place. Resize as necessary. I typically print a 4’’x 6’’ or a 5’’x 7’’. Load’r up and print, print, print. 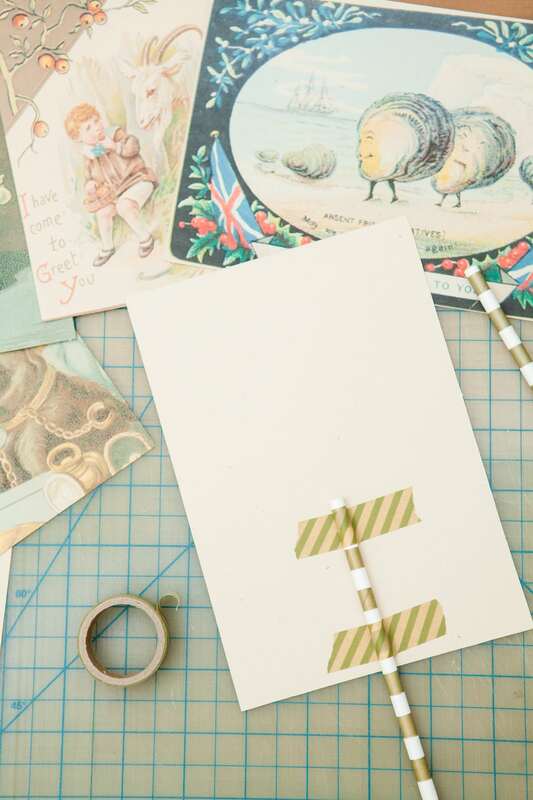 Using your handy dandy cutting mat, x-acto knife and metal ruler, line up your card cut along the guidelines. Place your metal ruler along the line of the cut. A swipe or two of the x-acto knife, you’ve got yourself one fine line. This means, you’re golden. Make sure to write a lovely, possibly ridiculous, note on the backside—the card’s derriere. Perhaps a doodle. If you’re an ar-teest, flex your creativity muscles by adding a little cartoon to the existing design. Add googly eyes or sparkly gemstones. I like to attach my handmade cards to paper straws to keep them floating atop my mantel socks. That nostalgic Christmas touch. Are you gonna try these #totescreeps handmade Christmas cards?